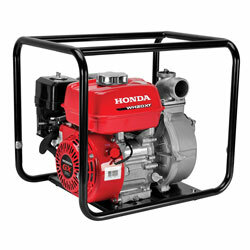 Honda High Pressure pumps offer high pressure with lower flow. The best applications for these pumps are where higher pressure is required, such as when using sprinklers or a nozzle. 1.5 inch pump This high pressure pump is powered by the 4 HP GX series Industrial Engine. This pump offers exceptional performance when higher pressure is required in applications such as using sprinklers or a nozzle. 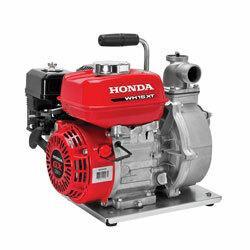 1.5 inch pump This high pressure pump is powered by the 5.5 HP GX series Industrial Engine. This pump offers exceptional performance when higher pressure is required in applications such as using sprinklers or a nozzle.